Today was one of the biggest days to be remembered in British history for the royals, today is the day when Prince Harry married Meghan Markle. After months and months of speculation of what designer would be used for Meghan’s wedding dress it was highly rumored that Stella McCartney would be the designer, however Meghan stepped out in a Givenchy dress. But later on Meghan stepped out in another dress for their evening reception and amazingly enough the stunning halter neck dress was by the sustainable designer Stella McCartney. This designer seemed like a natural choice for the ethically minded Meghan. 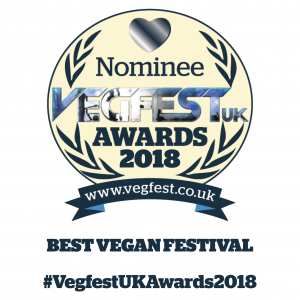 According to many rumours Meghan is trying very hard to become vegan and eats 100% vegan during week days, Meghan has also been known for wearing alot of ethical and vegan clothing. Stella McCartney is the daughter of one of the lead singer of most famous bands of all time the Beatles Sir Paul McCartney, Paul and Stella are also heavily promoting meat free monday encouraging people to cut down on their meat eating habits hoping that little by little they will be encouraged to change to a vegetarian or vegan lifestyle. Meghan was not the only person who had stepped out in the fabulous Stella McCartney fashion line today. It seemed like Stella McCartney must have had a very busy schedule for styling the royal wedding. 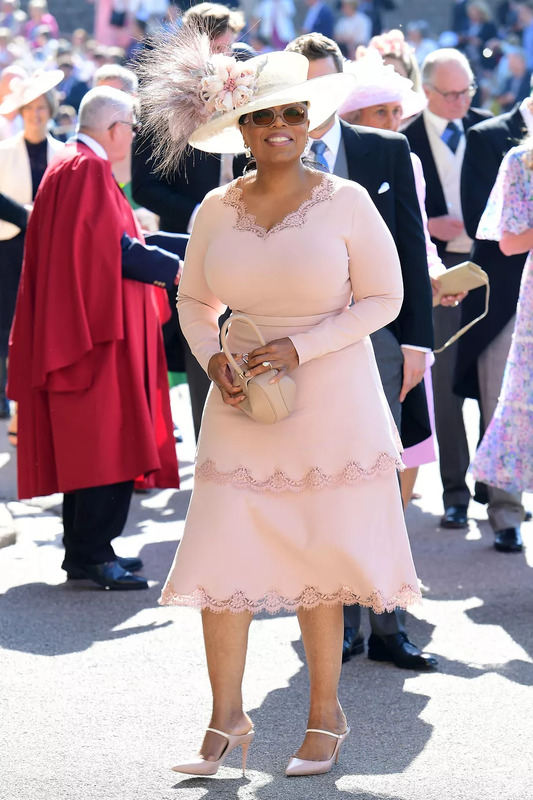 The fabulous Oprah Winfrey wore a pink blush dress to the ceremony, as well as Amal Clooney the wife of George Clooney stepped out in bright yellow number.